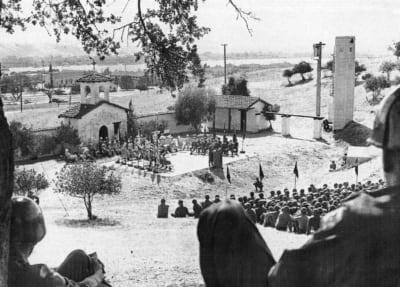 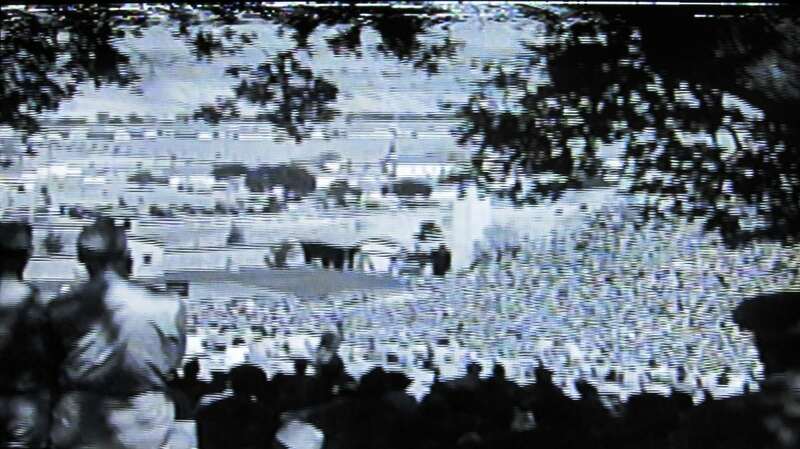 A large outdoor amphitheater on the Camp Roberts base, the historic Soldier Bowl was used for all the big entertainment shows at the Camp during WWII. 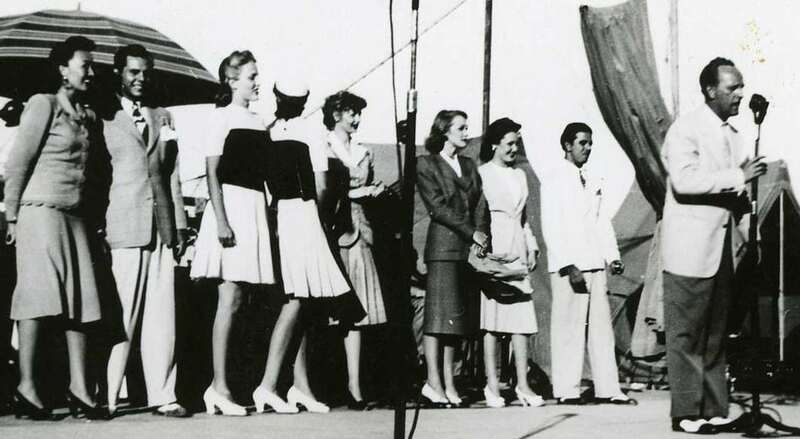 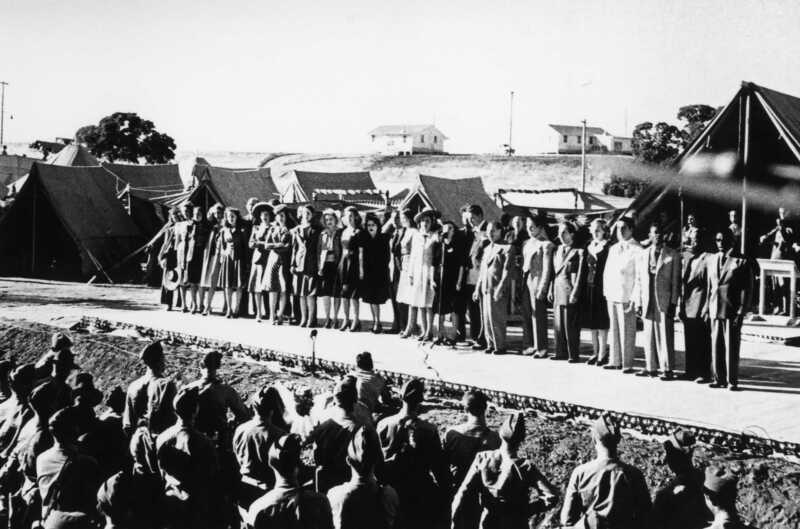 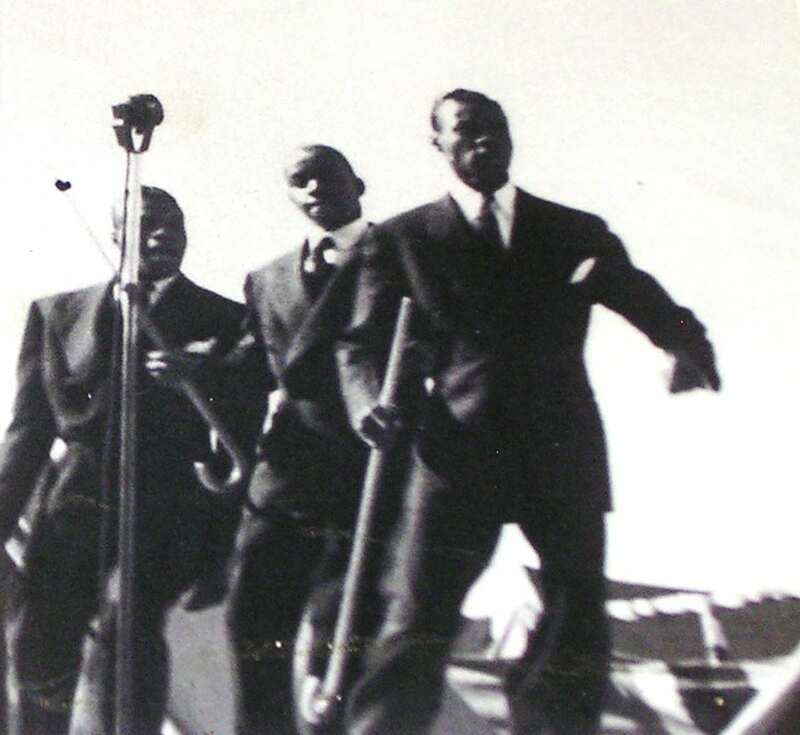 Comedy routines, dancing, and other shows took place on the stage for the enjoyment of those stationed there, most of them soldiers in training to be deployed to various places around the world. 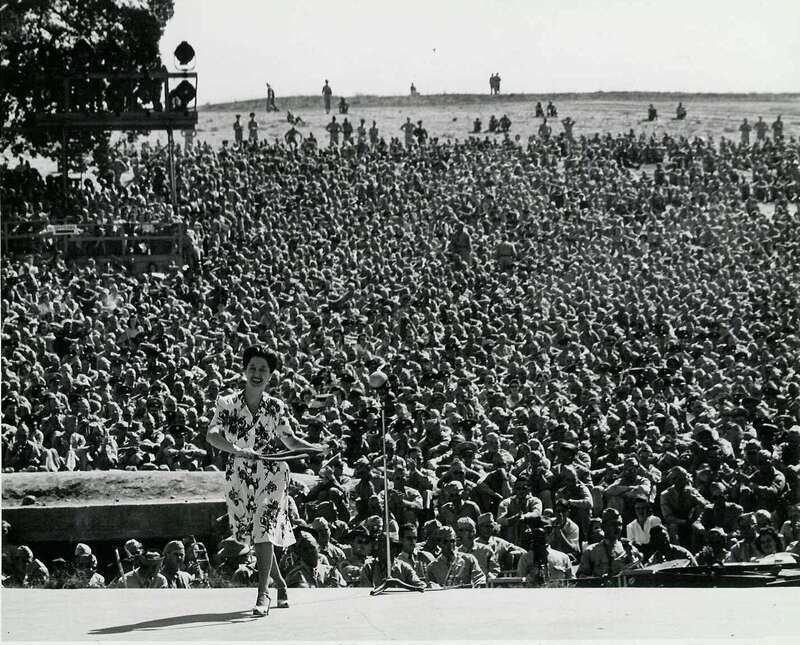 The Camp Roberts Soldier Bowl has seen an illustrious array of famous entertainers perform on its stage over the years. The first big show there took place on June 8, 1941, when famed comedians Stan Laurel and Oliver Hardy took to the stage to headline our first USO Camp Show. 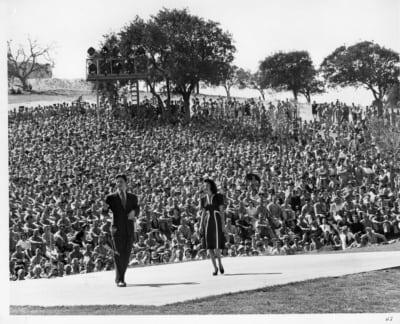 Sharing the stage that day were comedian Red Skelton, Chico Marx of the Marx Brothers, actress Lupe Velez, Mickey Rooney and Jane Withers (top teen stars at the time), Scottish-born Broadway star Ella Logan, and several others. Comedian Phil Silvers (of later Sgt. 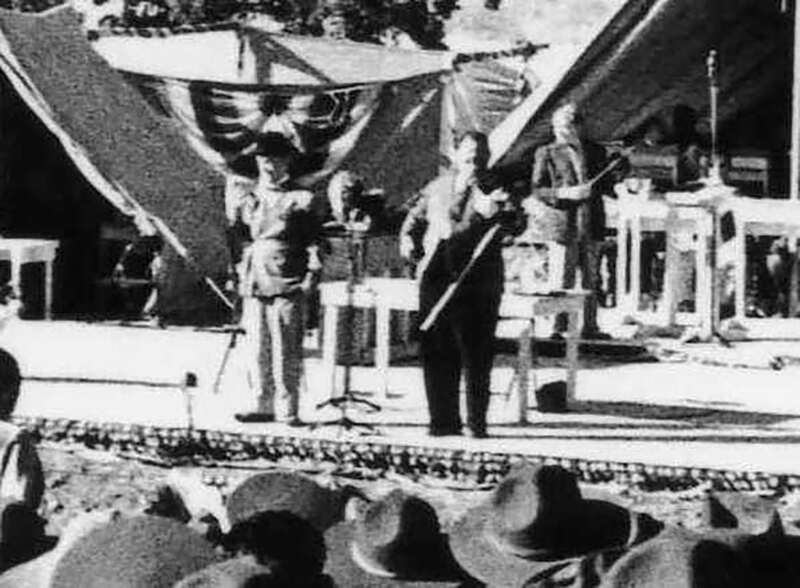 Bilko TV fame) performed as the Master of Ceremonies. 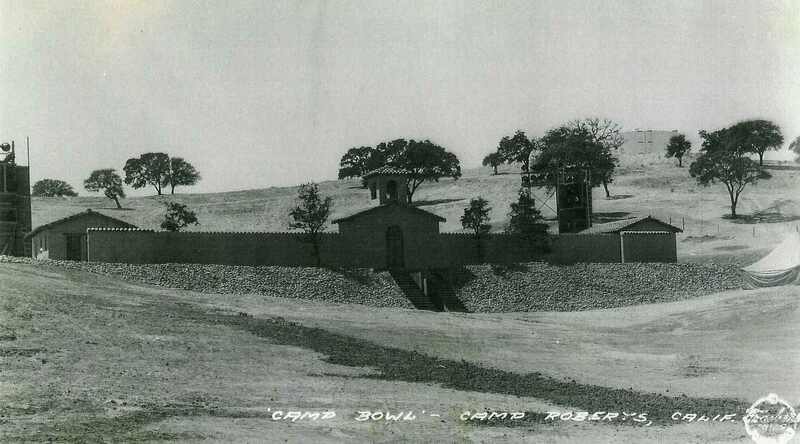 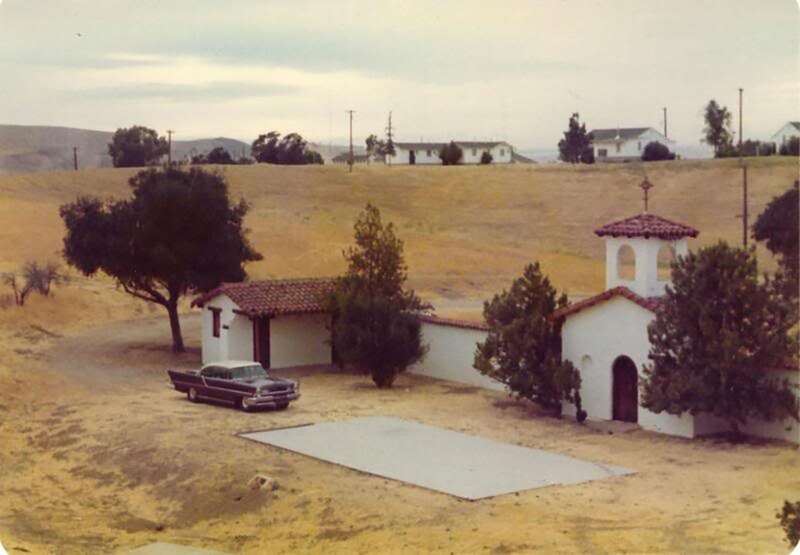 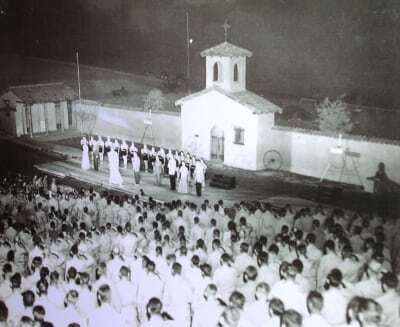 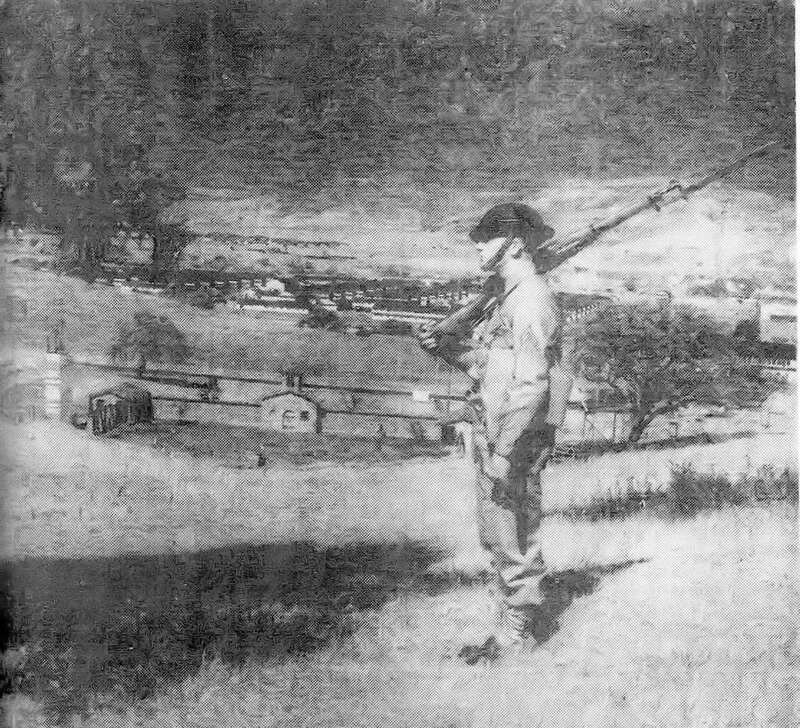 The Bowl’s hallmark Spanish mission and bell tower still had yet to be constructed. 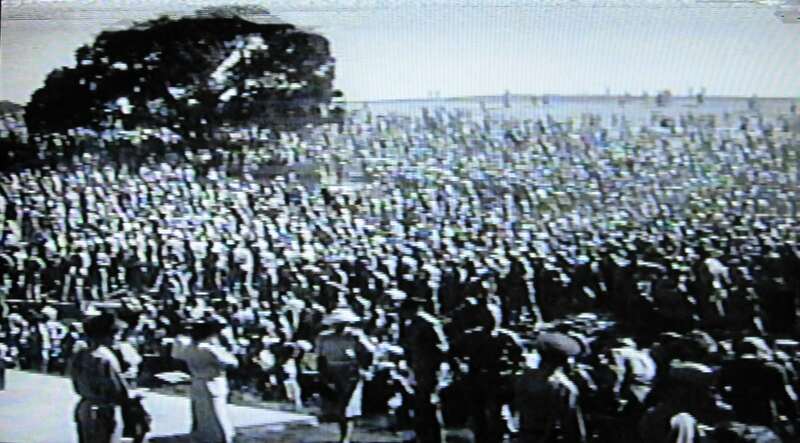 About 15,000 soldiers sat on the grassy hillside to watch that show. 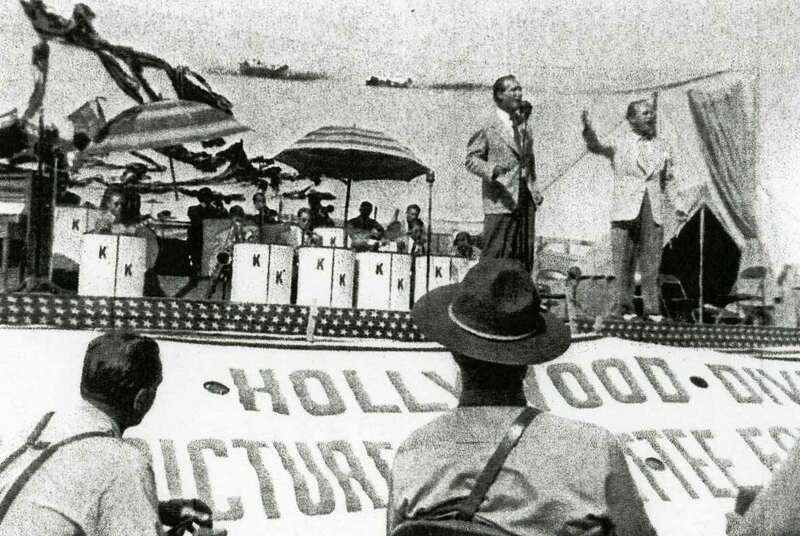 Following that extravaganza, just about every A-lister in Hollywood came to entertain. Celebrities would often visit patients in the camp’s huge Army hospital while they were here. 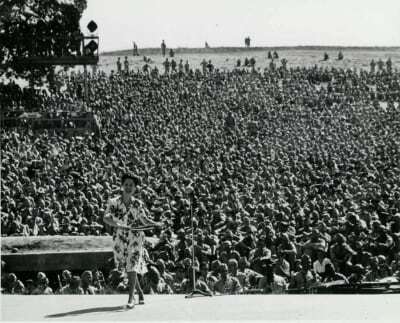 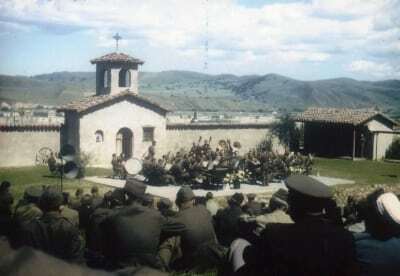 Judy Garland sang Over the Rainbow on the Soldier Bowl stage (her brother-in-law was the leader of one of the camp’s training center bands). 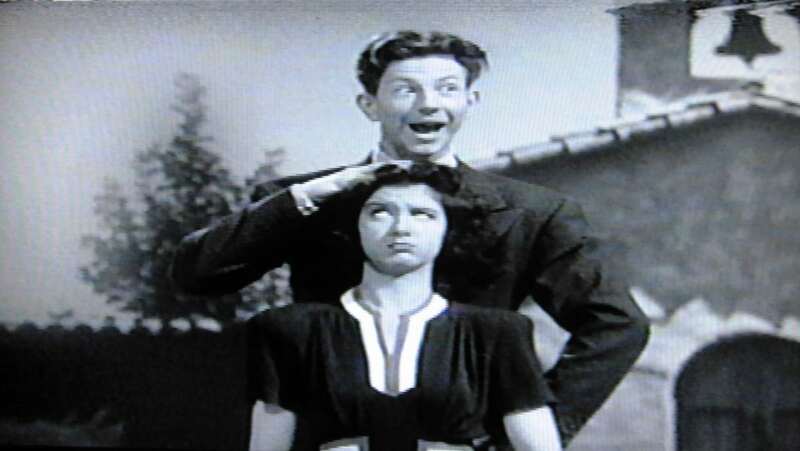 Donald O’Connor danced on the stage. 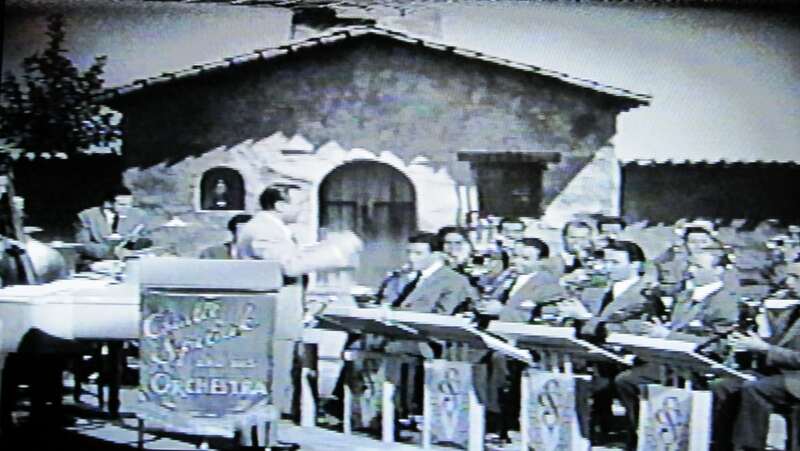 Bandleader and radio star Kay Kyser brought newlyweds Lucille Ball and Desi Arnaz with his show. 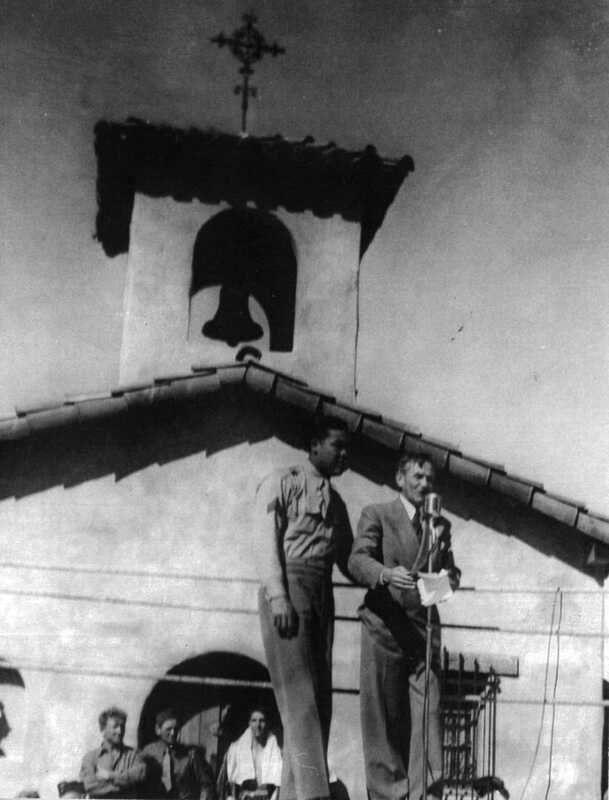 Heavyweight boxing champ Joe Louis refereed soldier boxing matches there (as well as sparring in our huge Sports Arena). 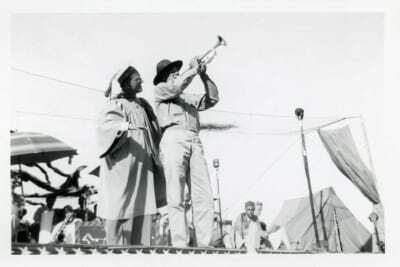 Lion tamer Clyde Beatty even brought his famed Clyde Beatty Circus. Other stars who came to perform included Marlene Dietrich, Bud Abbott and Lou Costello, Bob Hope, Jane Russell, Bing Crosby, Joe E. Brown, Leo Carrillo, Roy Rogers and the Sons of the Pioneers, the Mills Brothers, Dinah Shore, Joan Blondell, Gene Autry, Gabby Hayes, Johnny Mercer, George Jessel, Vivian Blaine, Carole Landis, Dame Gracie Fields. The list goes on. 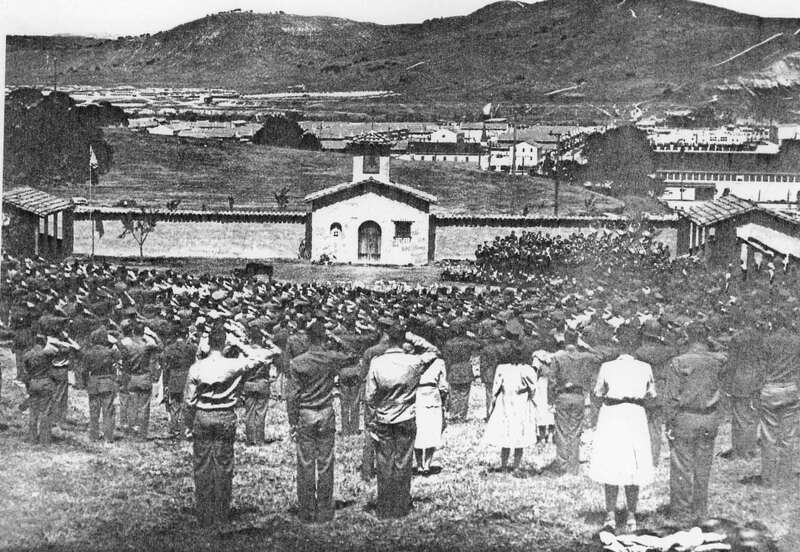 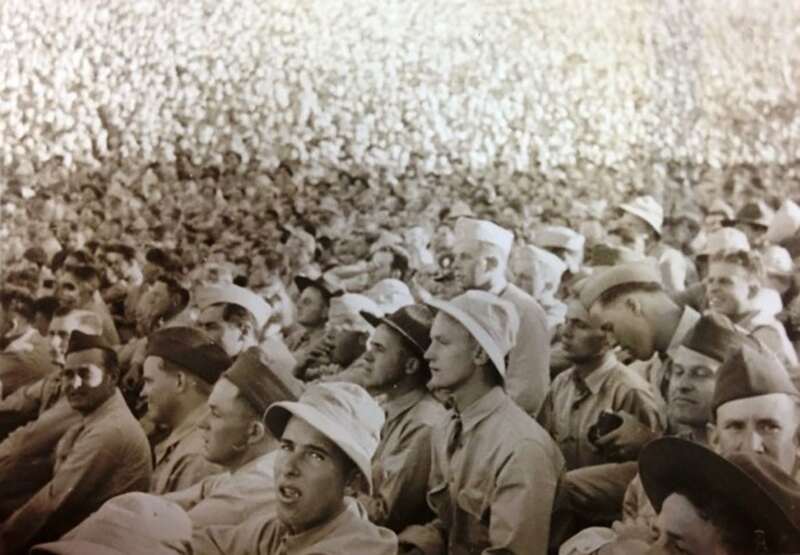 Later, during the Korean War, stars continued to come to entertain thousands of trainees here, like Debbie Reynolds, Keenan Wynn, Tony Curtis, Lionel Hampton, Andre Previn, David Janssen, Buddy Ebsen, Frank Faylen, Busby Berkeley, Harpo Marx, and Raymond Burr. Some of those would soon to be successful in television as well. 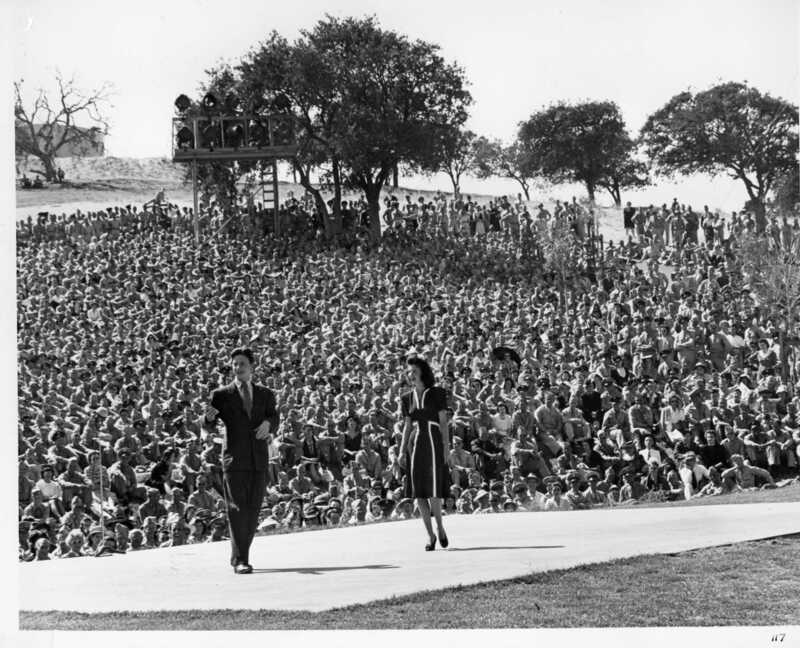 The Soldier Bowl was not the only venue for celebrities to perform at the camp, however. Among our four original large movie theaters, Theater #1 was renovated several years ago. 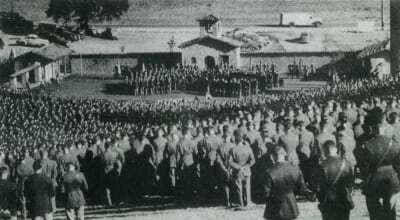 It stands right inside the camp’s Main Gate. 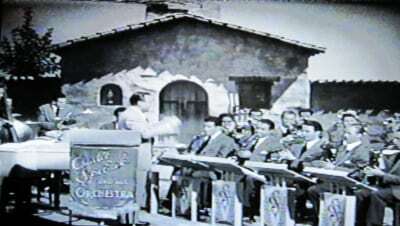 That theater was the scene of many radio shows. 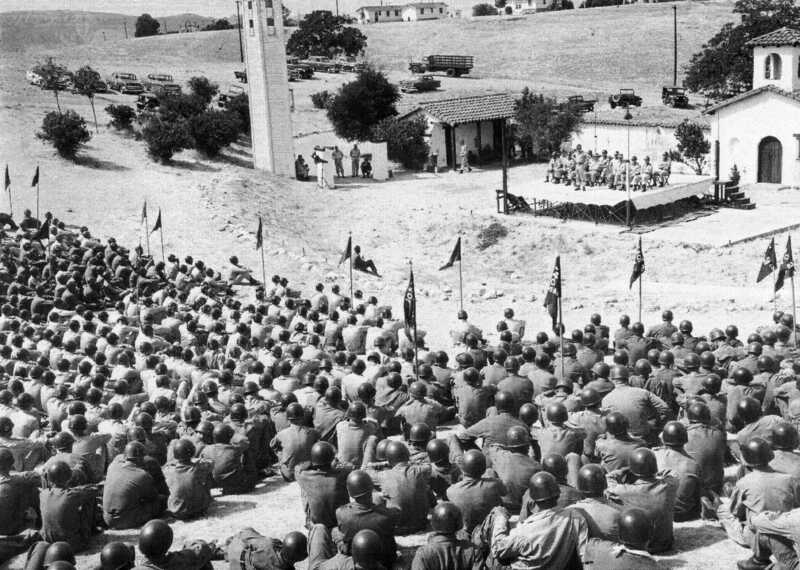 Stars like Edgar Bergen and Charlie McCarthy, and Jack Benny, would record their popular shows for national broadcast a couple of day later, in front of full house of soldiers. 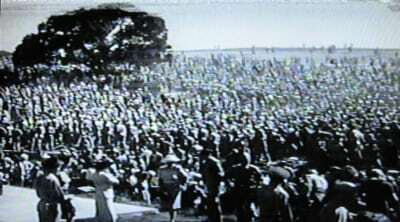 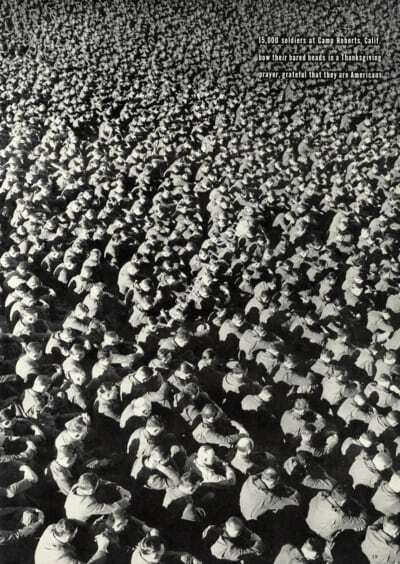 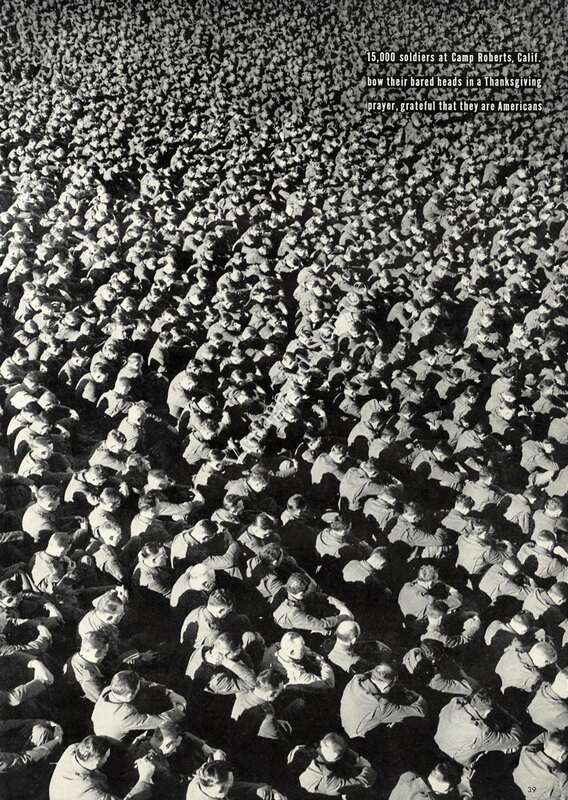 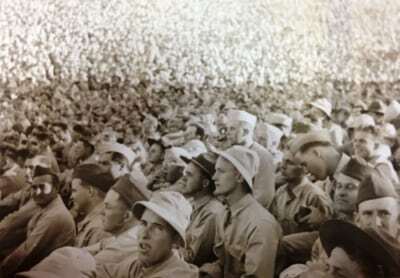 Then afterward the cast a crew would go up to the Soldier Bowl and repeat the whole show for 20,0000 to 22,000 troops. 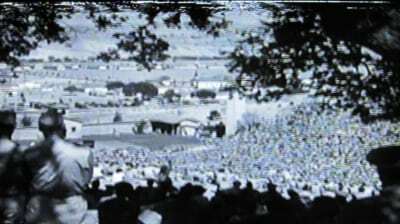 Basil Rathbone and Nigel Bruce even came to record The New Adventures of Sherlock Holmes there. 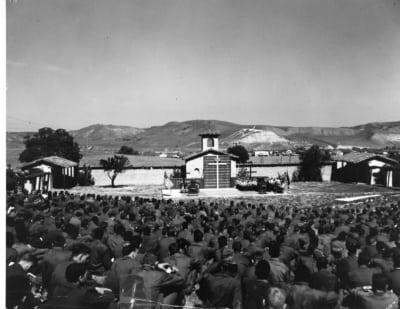 The large Camp Roberts Sports Arena was another venue that hosted many performances by Hollywood celebrities, as well as sports figures.